Imagine my surprise when I get a message from Joe of 2 Ton Bug that he and bandmate Allie have put together a Holiday Themed side project! This is funny/odd because I am in the process of reviewing the 2 Ton Bug LP (which is amazing!). 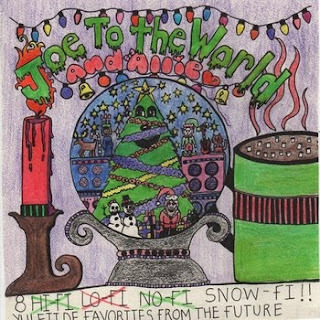 So Joe links me to a bandcamp for "Joe To The World (And ALLIE!) with their first eponymous collection of songs. 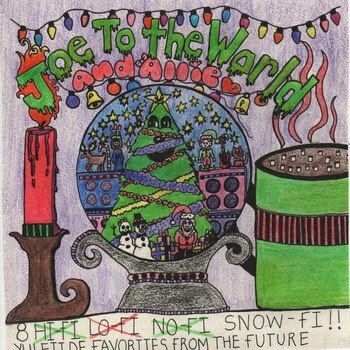 8 "Snow-Fi" Yuletide Favorites from the FUTURE!!! GO BUY IT HERE! You can name your own price and the proceeds go to the Connecticut Cat Connection!